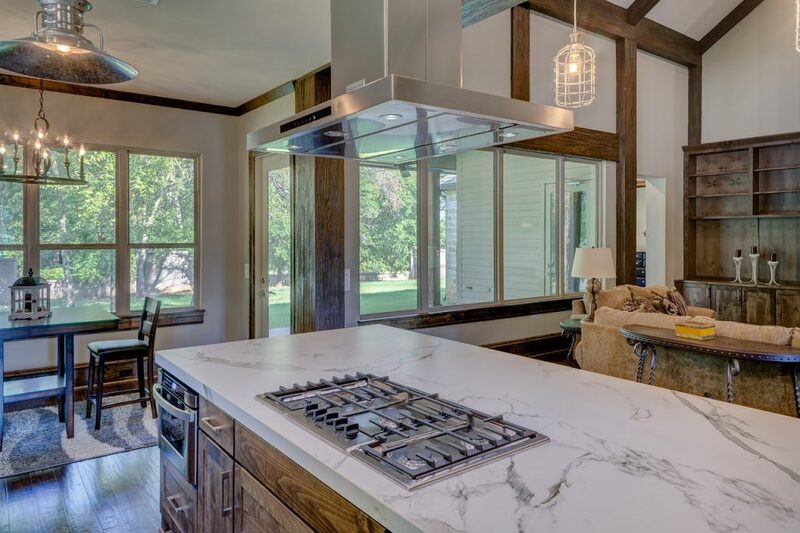 When it comes to countertop materials, one of the most popular choice for homeowners over the past few years is quartz. With quartz, countertops provide durability, strength, stain resistance and a host of other benefits. Because the material comes in a variety of colors and patterns, homeowners can easily find an option for a new countertop installation. Learning more about the material type can help you see just how beneficial this material is and how it can last for many years in your home. Surprisingly to many, quartz countertops are a man-made stone. The countertops contain around 90% natural quartz and the remaining materials include resins and pigments. Because the material is man-made, there is more control present when it comes to coloring, the pattern of the material, and durability. This material has become increasingly popular with homeowners over the years for countertop installations due to the many benefits. When it comes to maintenance, there is no sealing required or special cleaners needed for cleaning. With many natural stone types, homeowners must reseal the countertops on a regular basis to ensure stains will not seep into the porous material. Quartz countertops are nonporous due to the resins used in the manufacturing process. Spills will not seep into the material and cause stains, which is a definite bonus to this material type! The material is also scratch-resistant, so you do not have to worry about scratching your countertops with knives or other kitchen tools. In natural stone, fissures and pits can be created with use. With quartz countertops, this is not an issue because the material is so durable. When you decide to add quartz countertops in your home, the countertop can be fabricated based on your specific wants and needs. The countertops are produced and sold in slabs, with the slabs cut to order. You can have the countertops cut to any shape you like. A template will be made of your existing countertop and then the template used to cut the material for your kitchen or bathroom space. Customization is possible during the fabrication process, including creating curves, drainboards, under mount sinks, and other needs. When choosing quartz countertops, you will find that the material will vary in color, pattern and surface look and feel. From black, marbled, or solid white quartz countertops, the possibilities are endless. The material can be polished to have a high sheen or can be matte in finish. The standard thickness of quartz is 3cm but edges can be built up to create a more substantial look in the home. Quartz countertops have vein patterns, creating movement in the look of the material. Homeowners can choose a slab that has different veining patterns, from something simple to more complex. Some colors will have secondary color flecks on the surface to create a unique pattern. Overall, quartz countertops are a great addition to any kitchen or bathroom space. Easily add a beautiful countertop in your home, choosing the perfect coloring and pattern, adding a durable and strong material that looks lovely as well as adds a quality and durable design element to your space. For more information, check out the info graphic below.